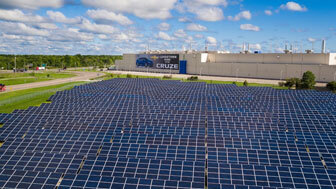 General Motors commits to powering all operations with renewable energy sources. General Motors Co., a founding member of the global organization, Renewable Energy Buyers Alliance and Business Renewables Center, and one of the first corporations to sign on to the Renewable Energy Buyers’ Principles, has taken the next step towards achieving their goal to decrease the company’s carbon footprint. The vehicle manufacturing company has recently pledged that it will be generating all sources of power for its 350 operations in 59 countries with wind, sun and landfill gas power by 2050. This commitment follows the company’s earlier goals to promote the use of 125 megawatts of renewable energy in all its facilities by 2020. “This bold and ambitious commitment from General Motors will undoubtedly catch the attention of the global automotive industry,” said North America Executive Director at The Climate Group, Amy Davidsen. Indeed, the company has been at the forefront of the pursuit for renewable energy for quite some time, pioneering the use of renewable energy for over 20 years with facilities that are already partly powered by solar, landfill gas and wind sources. Furthermore, GM’s extensive work with battery-operated electric vehicles has made them experts in energy storage and reuse. “GM has already saved millions of dollars by using renewable energy, and like any smart business that recognizes an investment opportunity, they want to seize it fully. We hope that through this leadership, other heavy manufacturing companies will be inspired to make the switch too,” says Davidsen. 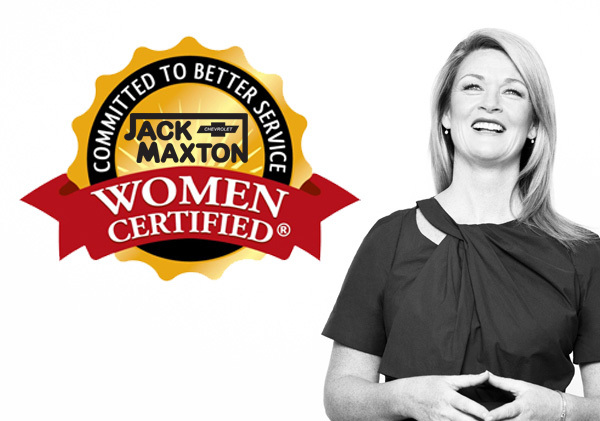 Jack Maxton Chevrolet Won The Women’s Choice Award… What does that mean to you? 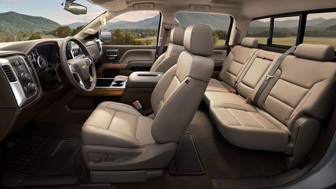 Jack Maxton Chevrolet continually works on giving the best costumer service possible. That’s why being Women’s Certified is so important to us. You may ask… What does that mean? Below is information on the certification and award. WomenCertified®, the voice of female consumers, awards businesses and brands based on consumer experience. WomenCertified is on a mission to give women a collective voice so we can help each other identify businesses who deserve the loyalty and referrals. WomenCertified is a trusted referral source for businesses and brands that women in the community would recommend. Those businesses and brands that meet a higher standard of customer experience among women are awarded the Women’s Choice Award. The Award is based on surveys of tens of thousands of women, as well as research conducted in partnership with the Wharton School of Business on what drives the consumer experience for women vs. men. This research led to the development of the Female Sales and Service Satisfaction Index. Businesses that perform well are awarded the Women’s Choice Award. What does the Seal of Excellence represent? Through this Seal, women are helping women identify businesses that value the customer experience and appreciate the needs and Preferences of their female consumers. The Seal is a symbol of empowerment for women as collectively we can change how businesses treat us and women in generations to come. Why single out women consumers? Women are the most important consumer segment, considering we account for 85% of all consumer purchases. Yet according to numerous studies most women say that businesses are not meeting her needs and delivering the customer experience they seek. Now women and their families can identify businesses that do care about making their shopping experience a good one, and are working to exceed her expectations. And according to the first ever gender based customer satisfaction study where we partnered with The Wharton School to produce, we found that when businesses meet the needs of women they exceed those of men! So any smart business should aim to meet the needs and expectations of women! The WomenCertified Seal is a symbol of excellence in customer experience awarded by women like you! When you see the Seal, know that women in your community have rated that business as a business they trust to give you the kind of respect, customer service, assistance and buying experience you expect and deserve.